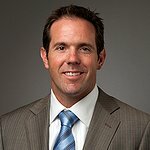 Judi’s House is a comprehensive grief care center founded by NFL star Brian Griese in Denver for children dealing with the loss of a loved one. Griese founded Judi’s House in 2002 in memory of his mother who died when he was twelve years old. The center helps grieving children and families by offering grief counseling and peer support groups to share the experience of loss with others. Judi’s House increases awareness and knowledge of grieving children’s needs by extending grief support services to schools, community based organizations, faith-based groups, hospices, and other caregivers in the community. Judi’s House has served more than 4,000 children and their adult caregivers from the Denver area since opening. Google trends for "Judi's House"
We don't have any videos related to Judi's House.